In A Land Of Few Christians, Pope Will Reach Out To Muslims In Turkey : Parallels Pope Francis will meet with Turkey's Muslim leaders and the head of the Orthodox Church in what may be the most challenging trip of his young papacy. Pope Francis waves in Saint Peter's square at the Vatican. The pope heads to Turkey on Friday, a country with few Catholics, but he plans to reach out to Muslims and to the Orthodox Church. Pope Francis is heading to Turkey for what could be one of the most challenging trips of his young papacy. The three-day visit, which begins Friday, will be a mix of the religious and political, with the pope addressing topics ranging from Christian unity to the worsening plight of Christians in the Muslim-dominated Middle East. While the Catholic and Orthodox churches have been divided since the "Great Schism" nearly a millennium ago, Francis will attend Sunday's celebration of St. Andrew, patron saint of the Greek Orthodox Church. Francis already has excellent ties with Ecumenical Patriarch Bartholomew, known as the "first among equals" in the Orthodox Church, based in Istanbul. Orthodox Christians are very excited about the visit, says Robert Mickens, editor in chief of Global Pulse magazine. "There is something very compelling about Francis, he is seen by other Christians, leaders and people, as somebody very special, a harbinger of a better future among the different Christian denominations," he says. In the Muslim world, Francis has a great deal of credibility. He won points last year for his opposition to Western military strikes against President Bashir Assad's regime in Syria and for signaling sympathy for Palestinian suffering by stopping to pray at the security barrier while visiting Israel last May. One of the visit's thorniest issues will be the plight of Christian minorities in Turkey, which long presented itself as a model of moderation and tolerance in the Muslim world. In recent years, three evangelical missionaries were murdered, as were a Catholic priest and a bishop. In addition, anti-Christian prejudice is intense in the Turkish media. Moreover, Turkey bans the training of Orthodox priests, and makes it very hard for foreign clergy to get residency or work permits. "It is of course very sad story because this is a negation of the basic right of religious freedom. If you don't have the formation of clergy, how can you sustain a church life? It is impossible," says Mustafa Aydin, a Turk who heads a center for inter-faith dialogue in Rome. And there's the issue of the Orthodox seminary that's been shut down since 1971 – despite Turkish President Recep Erdogan's promises that it would be re-opened. John Allen, longtime Vatican analyst, now with the Boston Globe, says the pope has the opportunity to challenge the president publicly. "(He can) look at Erdogan in the eyes and say, 'Mr. Erdogan, re-open this seminary,'" Allen says. "That will become the litmus test as to whether Erdogan is truly serious about protecting religious pluralism and protecting Turkey's secular moderate heritage." Just across Turkey's borders, fighting rages in what Pope Francis has called the "fragmented Third World War." "It is a world war in bits and pieces with many spots of crisis," says veteran Vatican analyst Marco Politi. Politi expects the pope will reiterate his vehement denunciations of the so-called Islamic State that has carried out massacres of Christians, Muslims and other minorities in the region. "Certainly Pope Francis will stress the distinction between Islam as religion and violent, terrorist, fundamentalist groups who abuse and manipulate religion for political purposes," he says. But it's the dwindling number of Christians in the Middle East who will be listening most closely to what the pope has to say, says John Allen. "Is he going to be able to move the ball in some concrete way to give Christians in Turkey and Christians in Middle East a sense that they have a future in this region," Allen says. "Right now the vast majority of them, they feel that they have been given a death sentence, and most of them are looking for ways to get out." 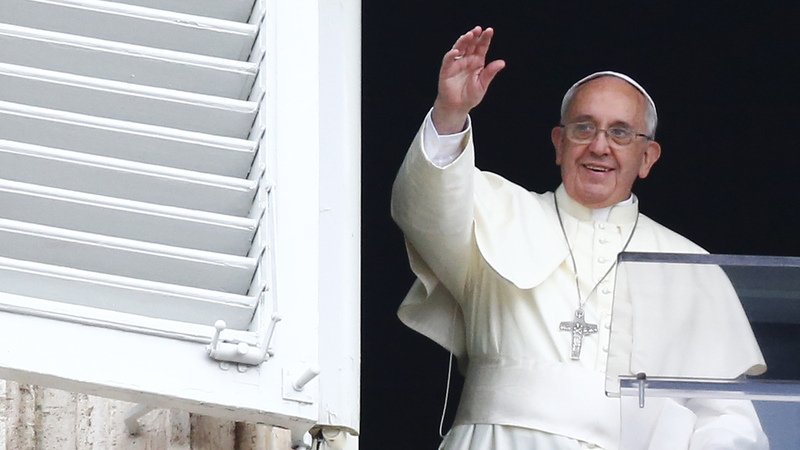 Francis has also expressed interest in a visit to border areas near Iraq or Syria to meet refugees. Up to now, Turkish officials have ruled it out on the grounds of security.